Elected intendant September 26, 1795, succeeding John Bee Holmes; re-elected September 12, 1796. Succeeded by Henry W. DeSaussure, September 1797. Born 1760, died December 31, 1798. Son of John Edwards and Margaret Peronneau, married Rebecca Donnom 1783. Merchant, operated John Edwards & Company. Aide-de-camp to Francis Marion during Revolutionary War. Elected from St. Philip's and St. Michael's parishes to State House for Seventh General Assembly, 1787-1788, resigned when appointed Commissioner of the [State] Treasury. Elected to Ninth and Tenth General Assemblies, 1791-1794; in State Senate from 1799-1801. Bailey, N. Louise, and Elizabeth Ivey Cooper. Biographical Directory of the South Carolina State House of Representatives. Volume 3, 1775-1790. Columbia: University of South Carolina Press, 1981. Charleston City Gazette, September 25, October 3, 1795. Columbian Herald, September 13, 1796. South-Carolina State Gazette, September 12, 1797. 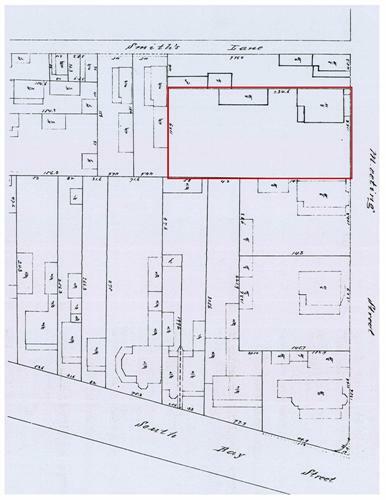 Residence of intendant John Edwards, today's 15 Meeting Street was built ca. 1770 for his father, also John Edwards. 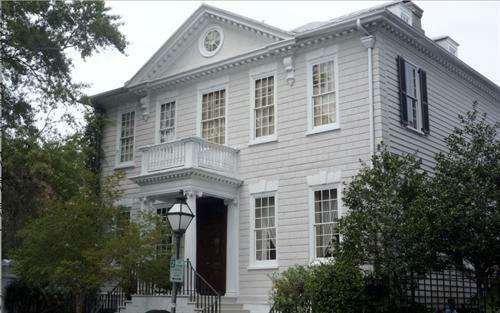 The house was occupied by British admiral Marriott Arbuthnot after the fall of Charleston, 1780. Robert P. Stockton, "Do You Know Your Charleston?" News and Courier, July 13, 1981. 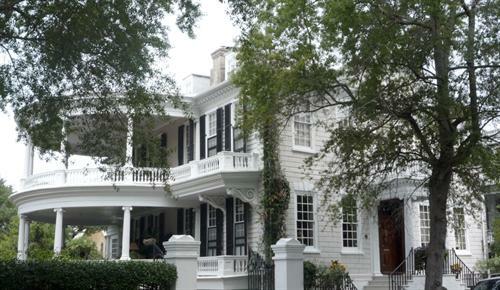 George W. Williams, Jr., purchased 15 Meeting Street in 1889, and remodeled the house. He added this deep porch at the south elevation. 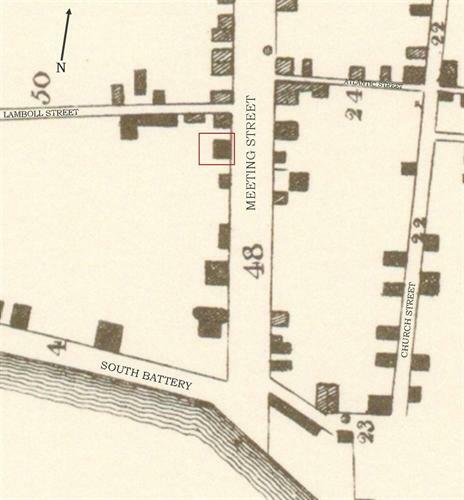 15 Meeting Street in 1882. 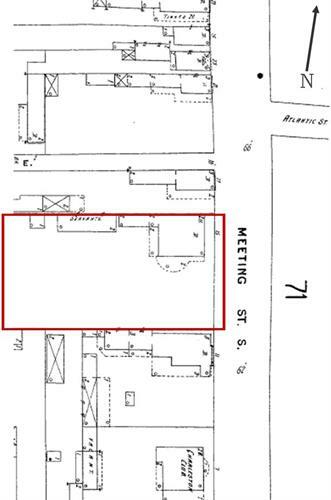 Note: today's "Little" Lamboll Street, between King and Meeting streets, was named Smith's Lane from the early 1700s until the turn of the 20th century. 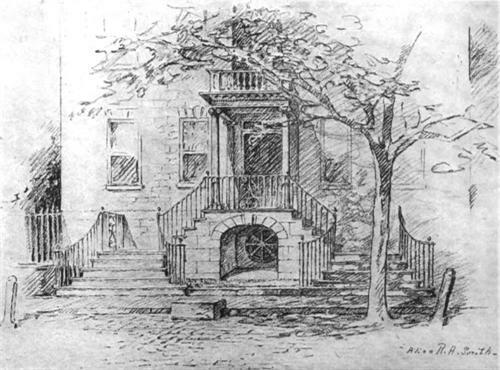 By 1902, 15 Meeting Street had a curved portico along its south elevation, and a long rear wing. 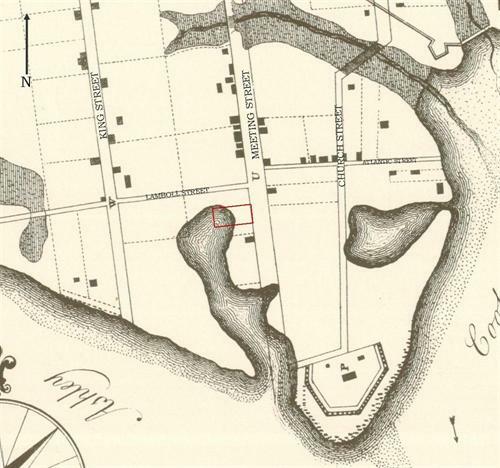 The pre-Revolutionary Edwards House is shown on this 1788 map of Charleston. In 1739, much of Meeting Street was subject to flooding at high tide.